“Considering he already comprehends harsh realities that many people spend their entire fleeting, shallow existences attempting to deny, [6 day old] Baby Nathan is quite the little miracle!” he added. When giving my 3 day old son a bath in a big training room at the Radcliffe Maternity hospital, I wasn’t even sure he had distinguished himself from the other babies. 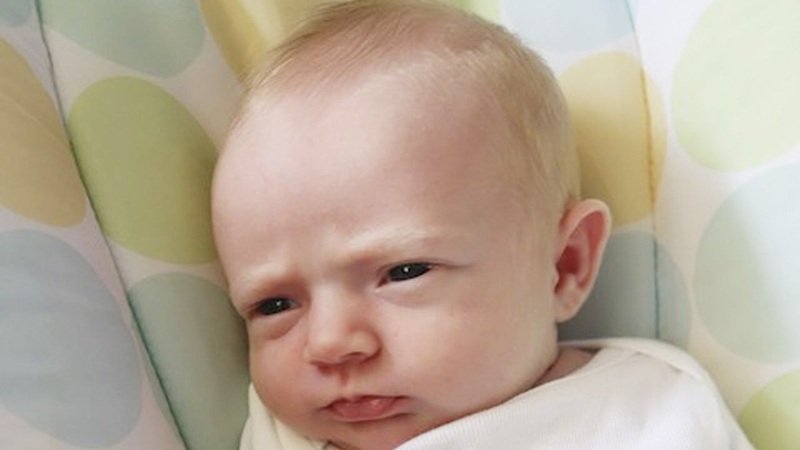 Are we shocked that this “shockingly perceptive” infant gets cast as both very pale and very male? Elise, I thought I had replied to this. Both my iPad and my iPhone seem to want to block my replies. I’m not bothered by the use of a white boy, because it is, after all, a joke and I think bringing in diversity might well have backfired. E.g., a little black female infant might have been seen as suggesting it is particularly absurd that such a child have reached any existential conclusions. That said, I’m not worried about the Onion. I went to look and really couldn’t tell in one visit whether it is more of a sexist mag then most of its ilk.